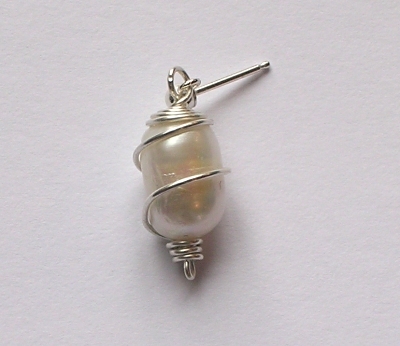 A simple and elegant pair of wire and pearl earrings. Instructions for these earrings are available to purchase. These were published as 'Twist' in "Beading with Pearls" published by Lark Books.